This is a fascinating and highly imaginative work, weaving together stories and observations about travel and human anatomy (among many other topics) into a surprisingly unified whole. Tomarczuk presents fiction as travelogue, history as story, story as fact. In her deft hands, unrelated tales--of a man who loses his wife and child on an island, or a pioneering anatomist's journey to a lecture hall, or our occasional narrator listening to airport lectures on travel psychology--feel inextricably linked. Maybe it's Tomarczuk's clear prose, fierce intelligence, and dry humor that unify these disparate pieces? 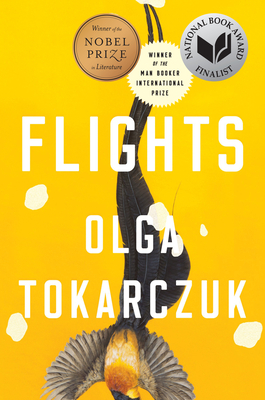 Let's just say that she's a very skilled writer, and every finely honed word in Flights is worth absorbing.